Haryana Chief Minister Manohar Lal Khattar on Monday laid the foundation stone for the Mata Amritanandamayi Math’s new 2,000-bed hospital. 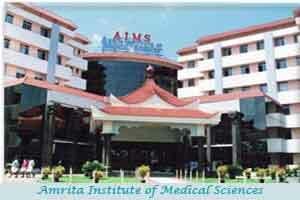 The Amrita Institute of Medical Sciences and Research Centre will come up in Greater Faridabad. Union Minister of State for Social Justice and Empowerment Krishnan Pal Gurjar and other dignitaries graced the occasion. Swami Amritaswarupananda Puri of the Mata Amritanandamayi Math was also present. The state-of-the-art healthcare facility will be spread across nearly 100 acres. It will include highly specialised multi-disciplinary children’s hospital, a block dedicated to original research, focusing on low-cost healthcare solutions and a teaching hospital. Khattar paid tributes to Amma, as Mata Amritanandamayi is widely known, for deciding to build the hospital in Haryana. “Mata is an embodiment of love and compassion who has tirelessly worked for the welfare of humanity. She considers service to the poor as the greatest form of worship,” he said. He said the hospital will benefit not only Faridabad but also surrounding regions like Delhi, Palwal, Mewat and several districts of Uttar Pradesh. It will be the largest hospital in the Delhi-NCR region, said Satyananda Misra, the former Chief Information Commissioner of India who will be the new hospital’s executive director. The hospital will be a green building, with no carbon footprint and zero wastewater discharge. It will be powered eventually by more than 45 percent of solar power. Construction materials used in the project will also be environmentally friendly. More than 70 percent of the campus acreage is planned as a green area filled with local varieties of trees, plants and shrubs and water bodies. Looking for faculty post in medical college as associate professor pathology. I am registered nurse (GNM) presently working in saudi arabia.I completed my GNM from holy family hospital Delhi Nursing Council.I have 8 years of Operation theater experience and 2 years of community health experience. Kindly contact me when recruitment starts. whenever the recruitment get started i would like to join as a histopatholgy technician.I have done B.S.C MLT from uhsr pgims rohtak.